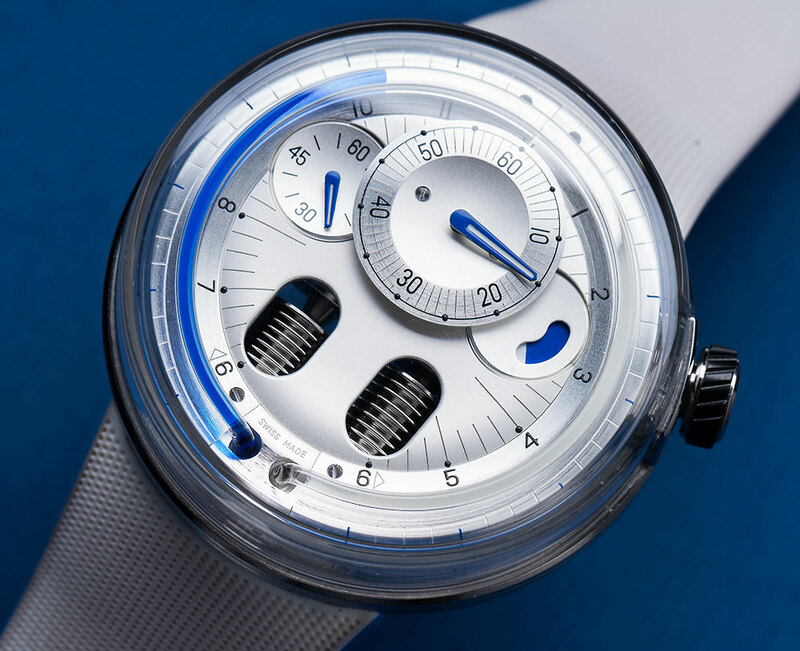 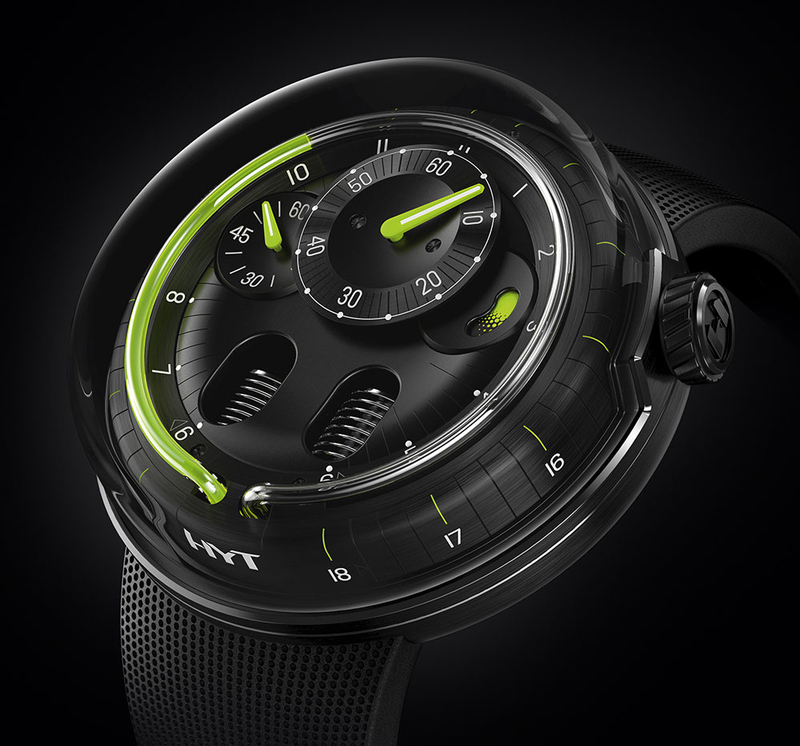 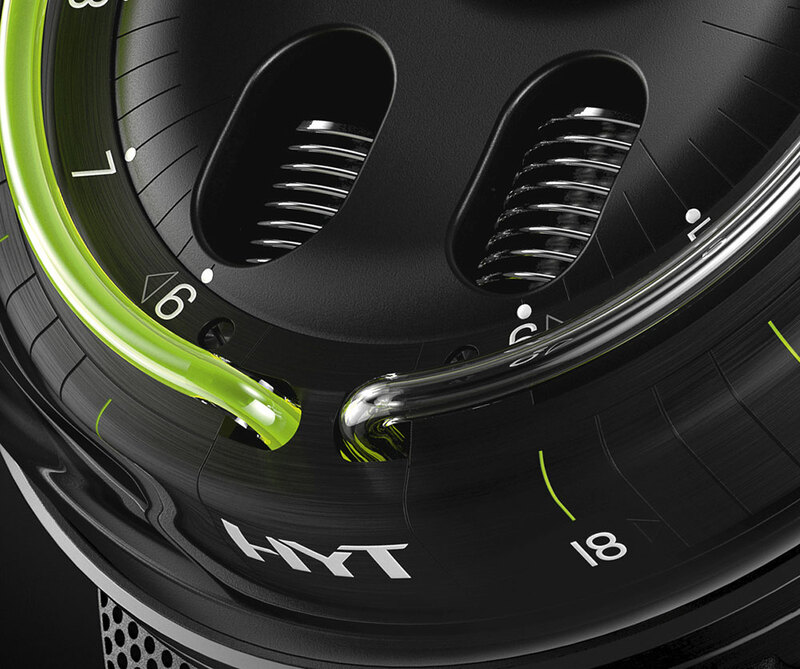 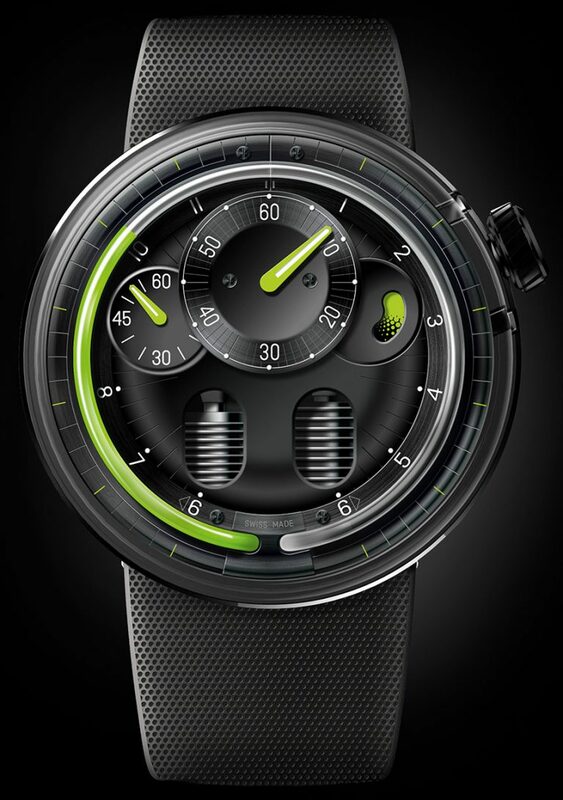 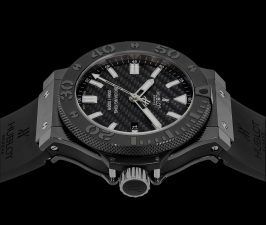 Let us show you the fascinating HYT H0 collection, a new incredible line of watches from HYT which proves once again that the Swiss brand is one of the world’s most avant-garde watchmakers. 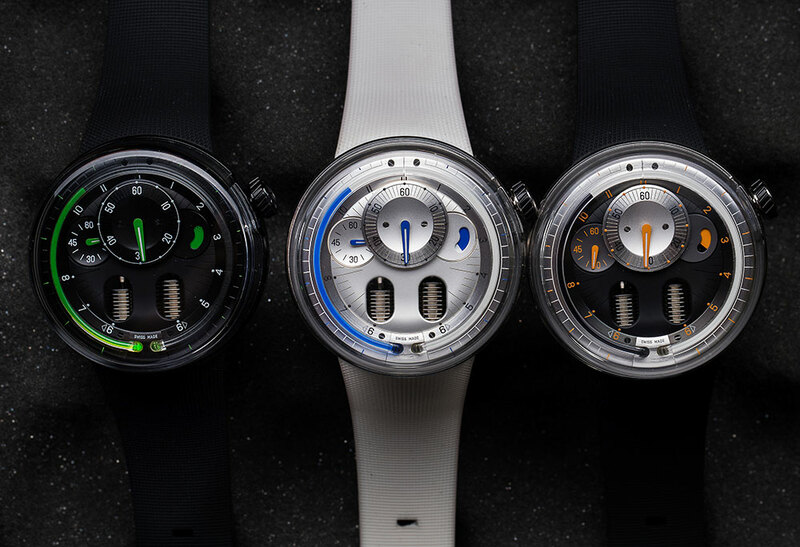 Easily recognizable for their innovative way of telling time, with liquid-filled tubes, these new watches come in three different versions, the H0 Silver, H0 Orange and H0 Black, each of them equally appealing and putting out a minimalist vibe. 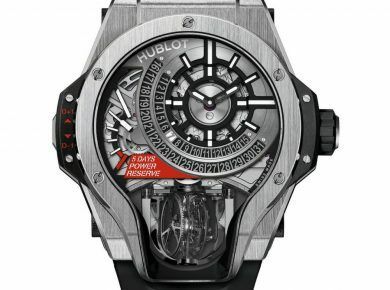 But in this case the crystal that wraps around the side of the watch will get anyone looking its way. 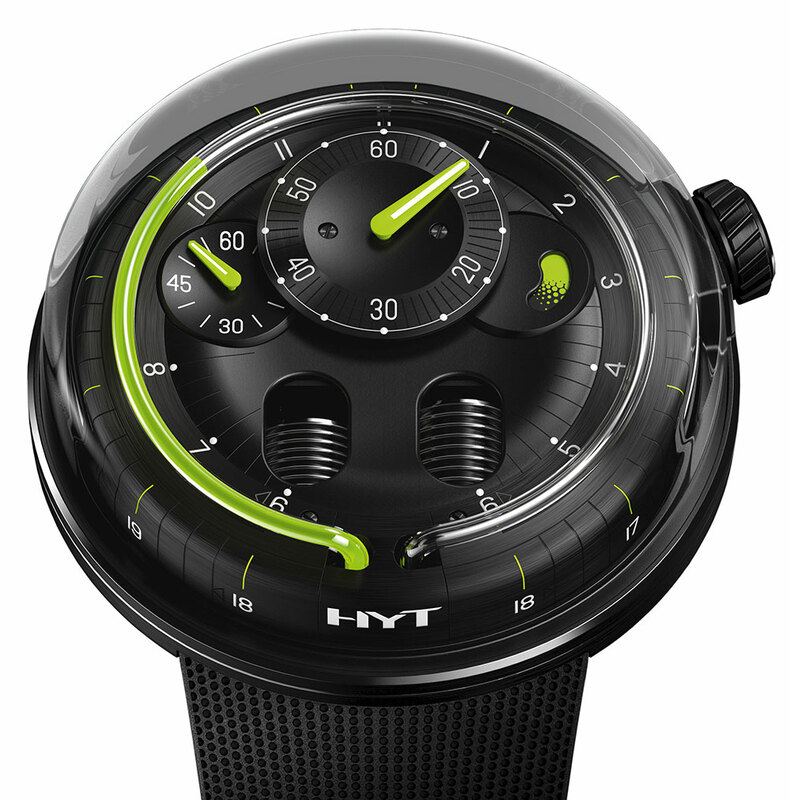 The HYT H0 collection utilizes the same technology with a much cleaner aesthetic, adding an interesting twist to an already impressive and appreciated design language. 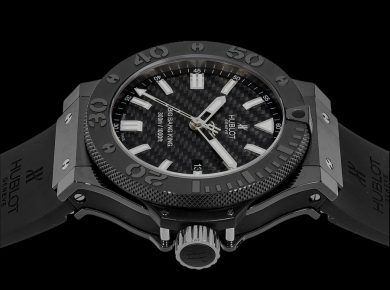 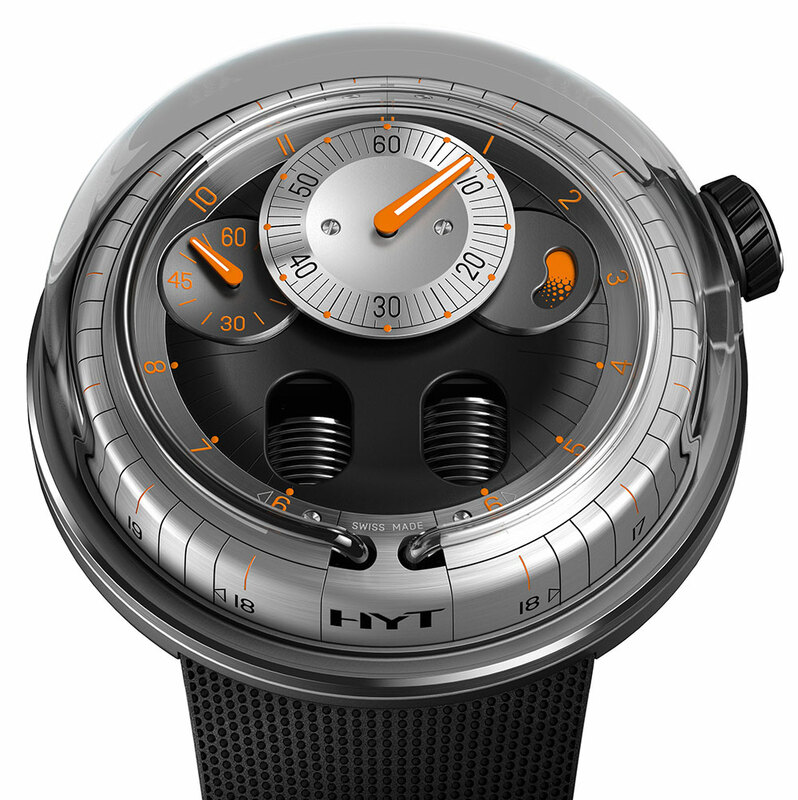 As mentioned, the HYT H0 collection will come in 3 different flavors, with users benefitting from a titanium or black DLC-coated titanium 48.8 mm case. 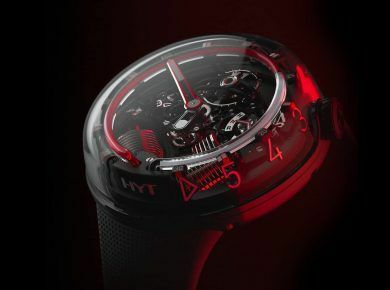 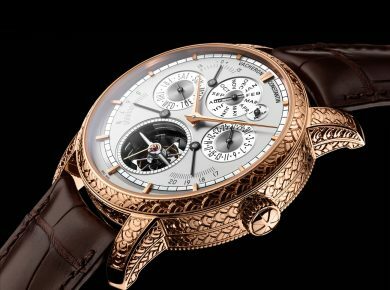 Skeletonized windows at 6 o’clock show off the reservoirs, while each piece will be fitted with an exclusive HYT Calibre beating at 28,800VpH with 35 jewels and Côtes de Genève-decorated bridges visible through the sapphire caseback. 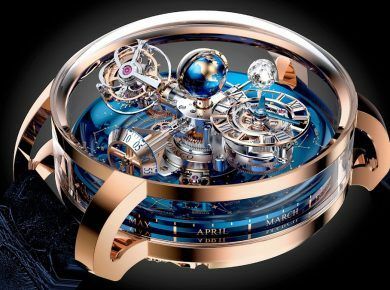 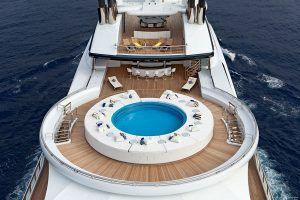 The domed sapphire crystal will prove to be an incredible treat for our eyes, while the chic rubber strap and 30 meters of water residence are also worth a mention. 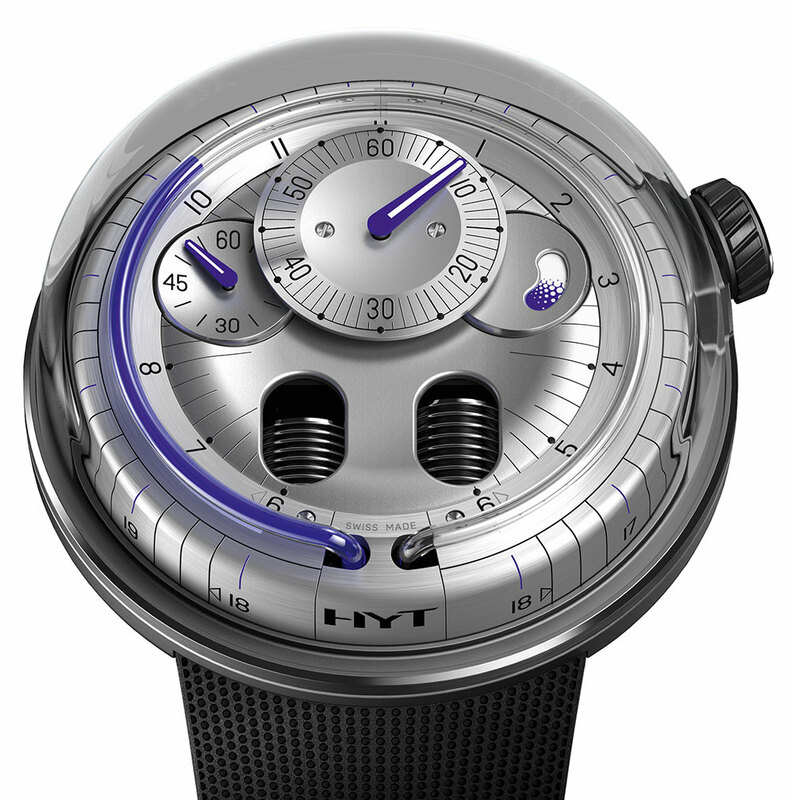 If you’re wondering about pricing info right now, you should know that these new HYT beauties will be priced at $39,000 USD, each. 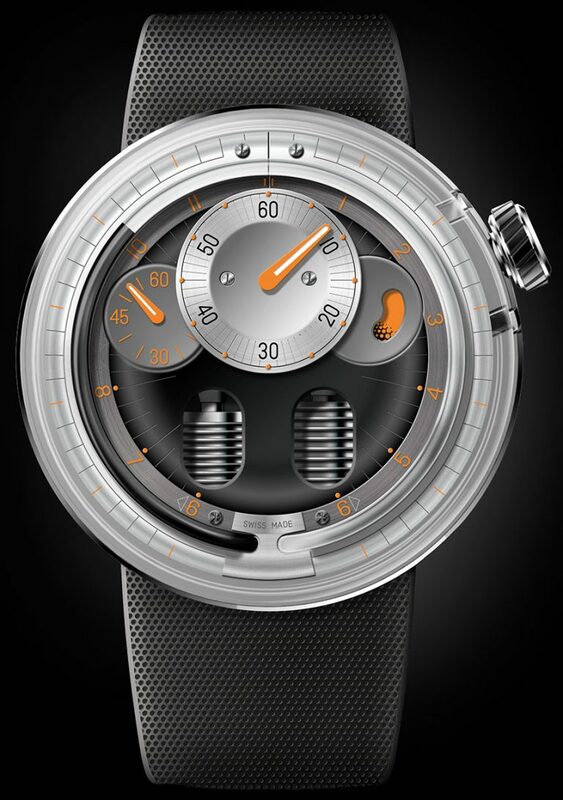 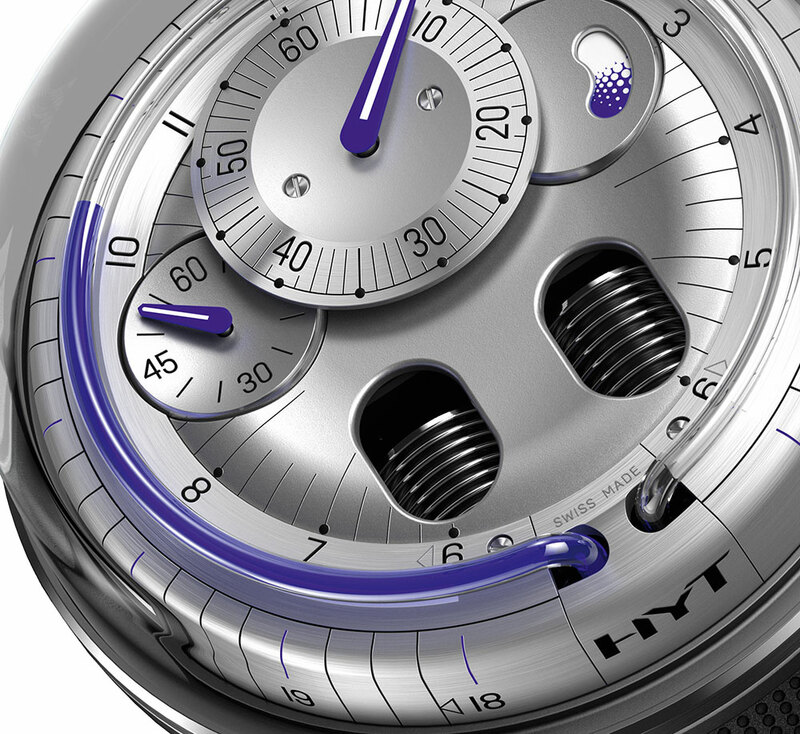 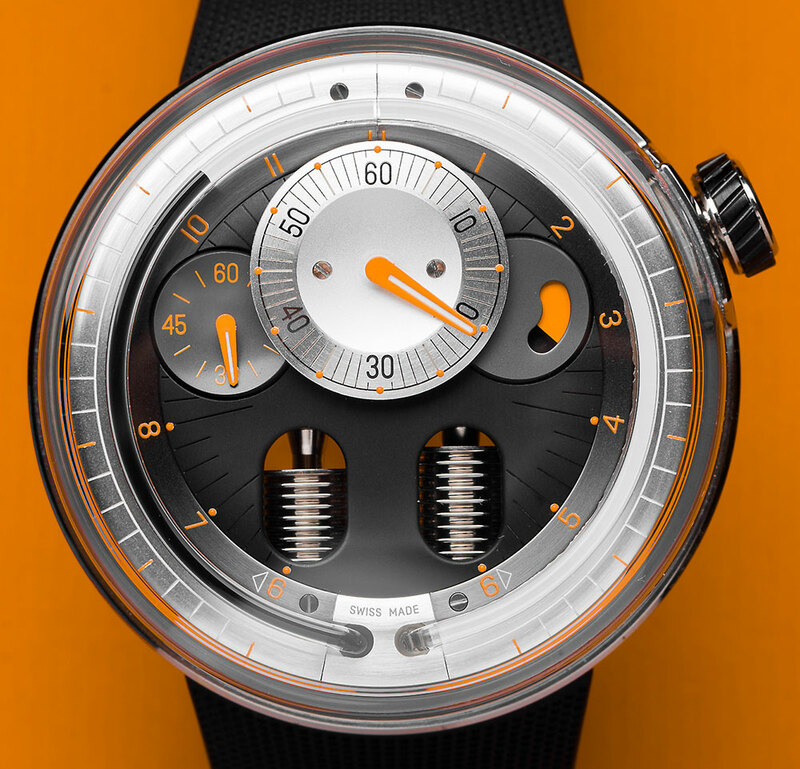 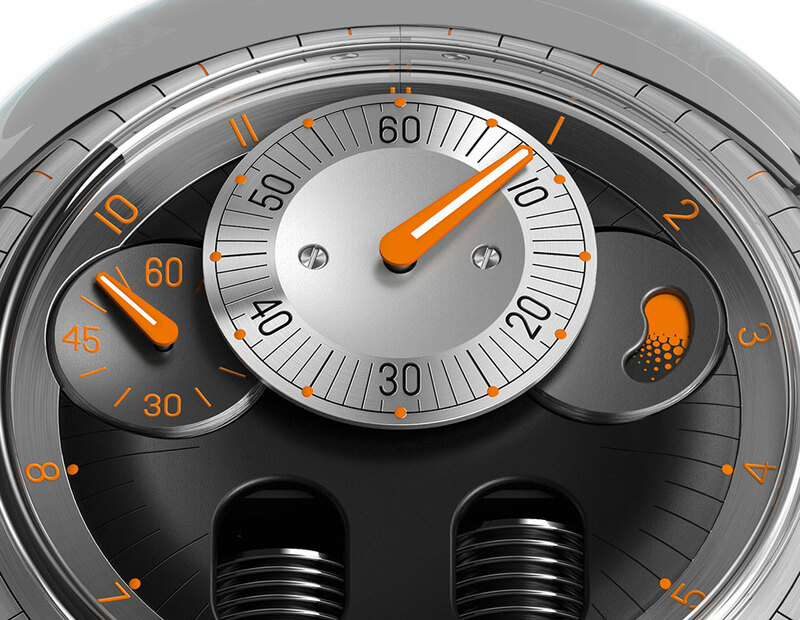 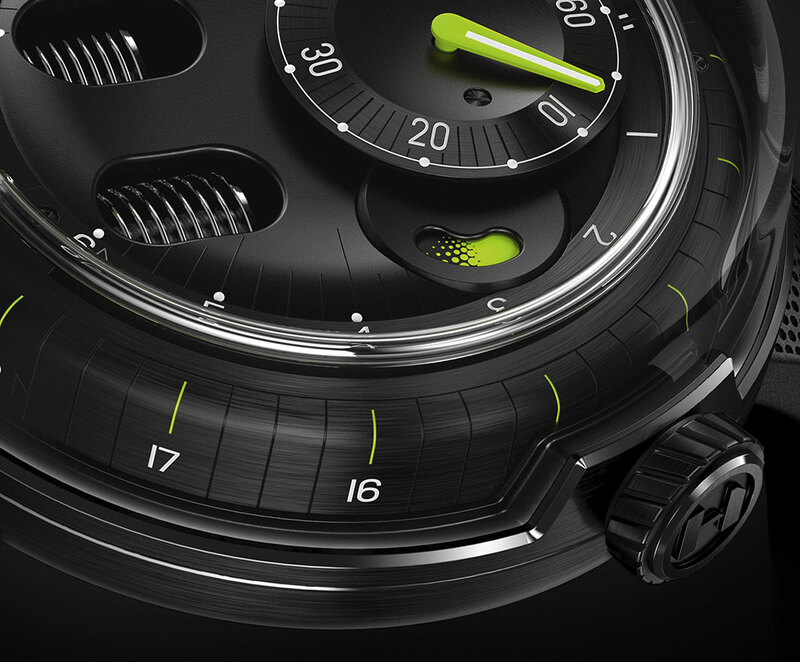 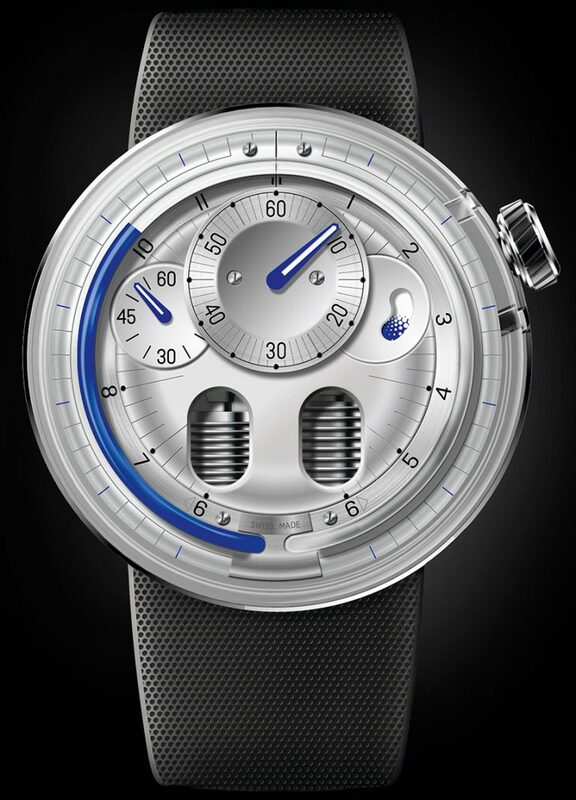 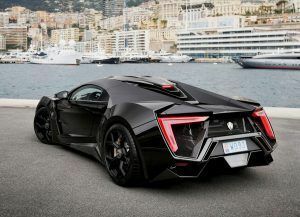 And it’s not a surprise since HYT is one of the most luxury brands for men.